An anonymous but highly authoritative scientific observer has contributed the following guest editorial to ALERT. A critical peat-swamp forest in Borneo—which harbors around 3 percent of the island’s unique and endangered orangutan species—could be destroyed. This is in clear violation of a law laid down by Indonesian President Joko Widodo. The island of Borneo has already suffered severe forest loss and damage. As reported by the leading environmental website Mongabay.com (see here and here), the Indonesian firm PT Mohairson Pawan Khatulistiwa (MPK) is digging a deep canal through the peat swamp, known as Sungai Putri, in order to drain and deforest it. As of a month ago the canal was 8 kilometers in length, and presumably is larger by now. The major canal cutting through the Sungai Putri peat swamp was 8 kilometers in length a month ago (photo (c) International Animal Rescue). Reports suggest that MPK has been taken over by a Chinese-owned forestry corporation. The decision to drain the peat swamp and fell its extensive forests—replacing it with exotic tree plantations—goes against all national and international commitments of the Indonesian government. Instead of destroying such ecosystems, the Indonesian government has promised to restore and protect carbon-rich deep peat areas and forests, reduce carbon emissions, and ensure the survival of endangered species. The concession area owned by MPK spans almost nine-tenths of the Sungai Putri peat swamp (encompassing 48,440 of its 55,000 hectares), and thus its exploitation could have severe impacts on the ecosystem and its abundant wildlife. Why is this happening? The answer, as usual, appears to be money. As seen in the photo below, a Chinese-owned company, Beng Seng Materials, recently opened an office nearby in the local Regency. According to a local media report, the Chinese company plans to invest some US$300 million in industrial timber projects and has taken over MPK—and therefore presumably controls its concession for Sungai Putri peat swamp. The Regent of Ketapang, Mr Martin Rantan, and a representative of the Chinese corporation Beng Seng Materials, Mr Yu Xui Yuan, jointly opening the corporation's new office in Ketapang Regency, West Kalimantan (photo (c) Humas Ketapang). These reports raise a key question: Are Indonesian corporations inviting large-scale, direct foreign investment to exploit Indonesia’s critical ecosystems? If so, this is totally out of line with the current government’s commitments to sustainable development and green growth. A wealth of research shows that the exploitation of coastal peat lands involving their drainage and deforestation—leading to massive carbon emissions and losses of biodiversity—can never be sustainable. Ultimately, such developments will cost society much more than their short-term profits, which will mainly flow back to the Chinese investor and their local partners. Local communities being cajoled into giving up their land to developers will gain a brief pulse of land-compensation payments. But in the end, they will suffer from longer-term negative social and environmental impacts, such as the loss of key ecosystem services and the haze from severe fires in Indonesia—which according to a Harvard University study could have hastened the deaths of tens of thousands of people in 2015 alone. The details and legality of the current development scheme should be scrutinized carefully. And alternative approaches—those in line with Indonesia’s important sustainable-development commitments—should be advanced instead. FLASH UPDATE: INDONESIAN MINISTER FOR ENVIRONMENT AND FORESTRY, DR SITI NURBAYA, TAKES DECISIVE STEPS TO HALT MPK INCURSION INTO SUNGAI PUTRI PEAT SWAMP. MINISTER IS IN "NO MOOD FOR LENIENCY," ACCORDING TO REPORT FROM FORESTHINTS.NEWS. 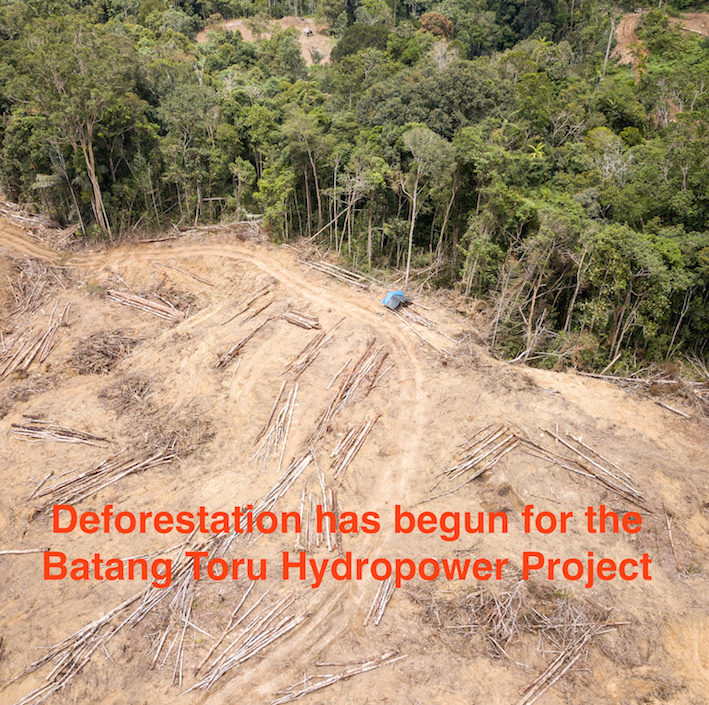 FLASH UPDATE 2: REPORT FROM FORESTHINTS.NEWS SAYS INDONESIAN MINISTER FOR ENVIRONMENT AND FORESTRY AND HER STAFF ARE CRACKING DOWN HARD ON PEAT-LAND VIOLATORS, ASSERTING "THERE'S ABSOLUTELY NO ROOM FOR COMPROMISE."